Based on his global experience he created a rather unique methodology to find personal uniqueness for individuals and teams. Jan is teaching his courses „Unlock human potential“ and „Unlock your team potential“ globally, where he shows individuals and teams how to uncover their strengths and find the best in them so they can stay in so-called "flow" states, when the human is not only successful because uses his/her talents in the best way but also is happy because can do what brings him/her a true pleasure. His techniques show organizations how to create a team synergies, inspire people through the positive leadership, and provide optimal "flow-performance". He is also together with Katerina Novotna co-author of very sucessful seminar „Unlock Children Potential“ which leads children to self-knowledge and helps to find their personal uniqueness. Together with Katerina Novotna, he is also the bestseller's author "Unlocking Children's Potential". Jan also works closely in the coaching and mentoring field with INSEAD, Cambridge, Gallup , Imperial Colege McLean Hospital, Harvard Medical School Affiliate. Jan, alongside with the author of many world bestseller Deepak Chopra, has created online course "The Positive Leader". Jan is a well-regarded global speaker at WEF, OECD, EC, EP, Harvard, INSEAD, Cambridge, MIT, Imperial college, Michigan University, Washington Post a Economist. During his career as a personal development expert and senior manager Jan has been interviewed by CNN, CNBC, Bloomberg, Financial Times, New York Times, WSJ or La Tribune. 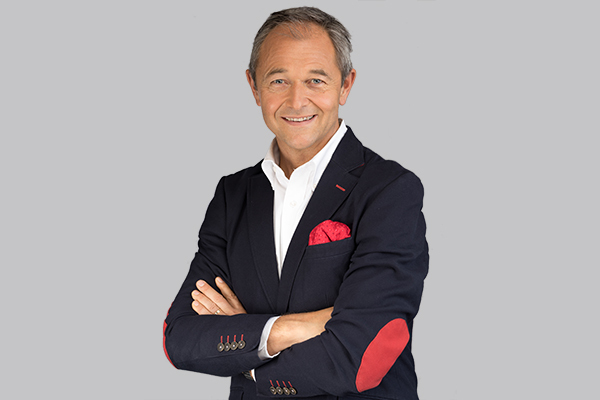 He was moderator of "Rendez-vous" morning talk show and later on "Hiden potentail" talk show in Czech TV. He is having his own talk show "Premier league thinking" on radio ZET and together with Katerina Novotna talk show "Advices F1 for clever parents" on radio Frekvence 1. The magazine "Corporate Vision" has ranked Jan Mühlfeit to the Coaching Top 50 list, and "CEO Today" has awarded him the Managament Consulting Award.